In a recent post, I remarked how I typically spent around $100 a week on groceries to feed my family of 6. I had a few inquiries on how I did that, and understandably so! As are most things that are real solutions, the answers are simple and it isn’t anything you haven’t ever heard before. I don’t have a magic formula. I do all of these things, combined, and it works for us. As you strive for a budget goal that is reasonable for your family, keep in mind cost of living. My area is a little below the national average for food. If the national average is 100, my area is 97. New York City is 125 on the same scale. Los Angeles is 95.5 on the same scale. That might give you an idea of where I am coming from. I plan out my meals before I go grocery shopping. I make a list of what we are going to eat for the next week, make a list of what ingredients we need based on those meals, and then go shopping. If I ever go grocery shopping without a plan, I find I spend just as much money as when I go with a plan, if not more, but I come out without items to create meals. I make an effort to eat the foods in season. I don’t buy fruits and vegetables if they aren’t on sale, when possible. Obviously it has to be done sometime, but I don’t plan a meal full of blueberries in January. No way. I do that in the summer when blueberries are 1/4 the price of January blueberries (and three times the flavor goodness). If I really want to make a recipe that has an item that isn’t in season and is expensive, I often just cut out the expensive ingredient. Speaking of, I will often substitute really expensive items for something less expensive. For example, when I make pesto sauce, I usually use almonds instead of pine nuts. I know–almonds aren’t cheap. But they are cheaper than pine nuts, and I like them just as much in my pesto. Plan meals that don’t cost a ton. This can mean vegetarian meals. It can mean meals with potatoes or rice. Pay attention to what meals cost a lot and space those out in your planning. One night a week, we have a leftover night. When I make 6 meals a week, leftovers build up. My husband and I both eat leftovers for lunch most days, but there are still more leftovers than we can eat for just lunches. Leftover night is basically a night of free food. I will also be strategic in my meal planning so leftovers can be used. If we have a pork roast on Sunday, I will plan to make pork tacos later that week with the meat leftovers. Leftover night is not always the most popular with kids, so if you can work leftovers into other meals, they will be better received. I typically shop on the same day each week. I plan out seven meals even though I also intend to have a leftover night. I do this just so I have a little bit of flexibility in the meal making. The meal I don’t make that week is rolled over into the next week. We get our milk delivered from a local dairy. This doesn’t look like a money-saving method on the surface because the milk is much more expensive that way than from the grocery store. The way it saves me money is that it makes it so I don’t have to go to the grocery store as often. In the summer when our garden is going crazy, I can go a long time between grocery store trips. Many milk delivery services will also deliver other perishable items (like eggs), so you can avoid the store when you want to save money on groceries that week. This is further made possible when you have a food storage in place (see next section below). It took me years to build up my daring to buy tons of something when it is on super sale, but now I just go for it. Like I said, I make a list before I go. I shop at the same grocery store every time. I have that store memorized. I make my list in order of where things are in the store. That way, I can go in and zip through. I have literally parked my vehicle, shopped, and loaded my vehicle with a week’s worth of groceries in 10 minutes. And I had a toddler with me. No lie! On my honor. I have done that more than once. I do keep an eye out for super deals. I know my store, and I know which tags mean “pay attention to this price.” I stop and buy those things even if they aren’t on my list. Otherwise, I keep my head down and respect the list. I will make one note–every few months I go to SAMs Club (not my typical grocery store. My typical store is a local store). There are some things at SAMs that are much cheaper than they are at my local store and I stock up on those items then. Some people successfully go to several stores to get the best deals at each store. That doesn’t work for me on a couple of levels. Level one is that I want to spend as little time shopping as possible. When my kids were younger, there was no coupon or sale that would make multiple grocery stores worth it to me. Our stores are not right next to each other–I am talking miles in between each store. No way! Not my idea of fun. Another reason that doesn’t work for me is that I know I would go into that store for sale item A and walk out with several other sale items on top of that. For my personality, it works best to stick to one store and to the deals of that store. Store hopping might work great for you, though. I stick to one grocery store, but I try to buy certain foods at certain specialty stores. We have a lot of dairies where I live. I buy my cheese directly from a dairy rather than the grocery store. I can easily get it for half off of a good sale price at the grocery store. I buy cheese blocks that are imperfect, so they are even cheaper than what they would be. We are totally fine with imperfect-looking blocks of cheese. We usually buy a beef or pig directly from the person who raised it. This isn’t always less expensive than a great deal at the grocery store. It isn’t any more expensive than buying it from the store, though.Something I like about it is buying the animals from a trusted source and knowing what went into the raising of it. The meat always tastes much better than store meat. And it keeps my benefit up that I don’t have to go to the grocery store as often. 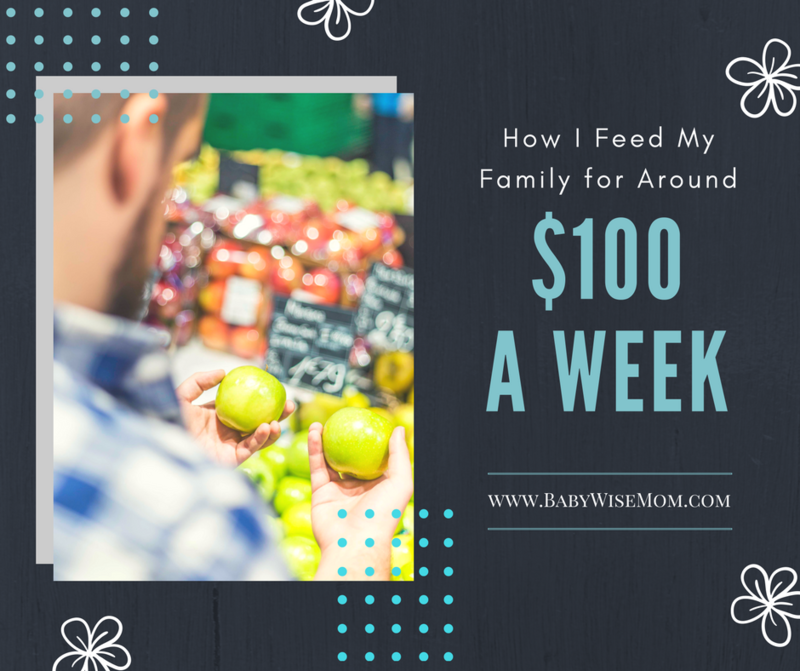 It is food storage that allows me to take a week off of shopping when I need to. The obvious limitation to this is freezer space. You will need a deep freeze or upright freezer to purchase meat from an entire animal. You can often find a friend or neighbor to split the animal with if you don’t have a lot of storage space. While you are shopping, keep your budget in mind. Aim to stay in it. Cut out excess foods that you don’t need. 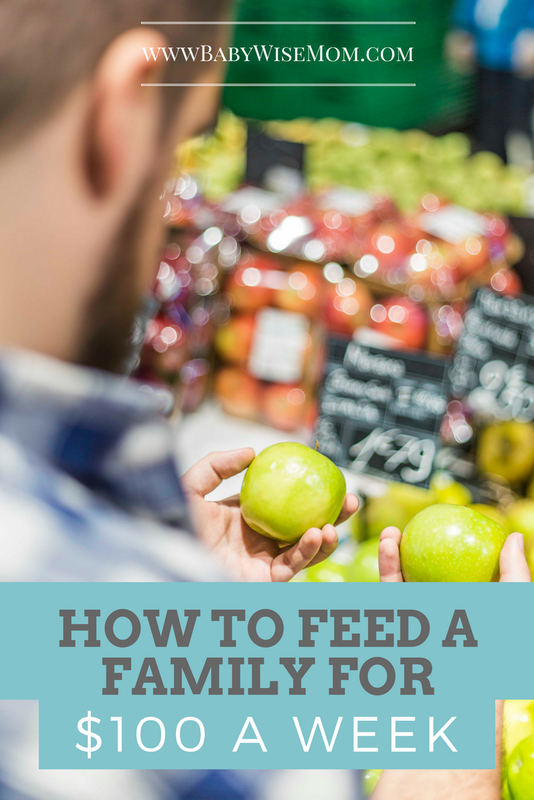 Pay attention to how often you are throwing out food at home that has gone bad or stale. Try to keep your purchases so you aren’t throwing so much out. Do not buy foods that are unnecessary that will push you way over budget. Also, look at your budget on a larger scale. If I spend $150 one week, I aim for $50 or less the next week. Every so often, I just don’t shop that week. Because I have milk delivered and foods in storage, I can do that. It forces me to really look at what I have for meals instead of buying new stuff. We grow a garden and preserve what we can. The garden helps us keep food costs down during the harvest and helps provide foods to eat through the winter months. Be like the ants and prepare your food for the winter. If you don’t have space for a garden that produces excess, you can preserve foods you buy at the grocery store when they are in season in the summer. Also keep an eye out on farmers markets and nice neighbors. Most people with gardens are very happy to share their excess food. I make our meals from scratch. It is much less expensive to make a meal than it is to buy pre-made meals. There can be expensive up-front costs when you are cooking meals. For example, many spices are quite expensive, but they last you a long time, so you have an expense the first time, but not again for a while. This is my secret recipe to spending around $100 a week on groceries. There isn’t anything new on this list. They are all old tips that I have found work very well all mixed together.